Nine years ago I used to blow my entire monthly beauty budget on my favourite M.A.C. lipstick. It was the perfect relationship – we worked together, partied together and never fought. Then one fateful December, I popped out to the Waterfront at lunchtime to get a new tube. When I couldn’t find it, I enquired at the counter. The lady beamed at me, told me it had been discontinued, but not to worry, she had a replacement colour. A… replacement… colour! Was this woman high? And just like that, my trusty friendly lippie broke up with me – no call, no fax, not even a Post-It note. I may sound overly dramatic, but I know I’m not alone. There are many who collectively mourn the loss of discontinued products every year – from that lip ice you can’t live without, the make-up remover that wouldn’t quit on your worst mascara disasters and your signature scent. What to do when your favourite beauty product is discontinued? Some people dig out every scrap from the bottom of the tube or tub and savour that last bittersweet moment of bliss. Others spend hours scouring different branches of Clicks or Dis-Chem and some write to us in desperation, asking for help. More than 20 of you have written to us in the past two weeks about the Like Silk brand going AWOL. In the interest of beauty public service, we reached out to the industry to find out why brands or products get discontinued. Most were reluctant to share. Thankfully, Laura Nel, Head of Communication and Public Affairs for Johnson & Johnson was happy to answer our questions. First we wanted to know why it happens. “Usually, it is because a product is not performing well and clearing the minimum annual sales hurdle,” she says. It’s inefficient and costly for companies to keep something in stock if it’s not selling briskly. “It could also be that there is a new and improved item planned to replace the current product or range,” she continues. Shops don’t always have space for old and new products, so they’ll want the manufacturer to discontinue the old before introducing the new. “In other instances, which is common at J&J, some things are discontinued because they no longer meet the ever changing regulations for ingredients. If our products contain parabens or ingredients on a ‘banned’ list, we have an ethical duty to discontinue them or replace them with compliant formulations,” says Laura. The decision isn’t taken lightly. “The process at J&J involves an annual review of a brand portfolio. Items that no longer clear the sales hurdle, are identified as at risk of discontinuation. If there is an opportunity to drive sales or improve costs to avoid discontinuing the product, this is implemented,” she adds. Sometimes a brand pulls out of South Africa or the local manufacturers have not renewed the license due to the Rand taking a pounding. Or a big corporation buys out a smaller one and makes their product range for a very short period before shelving poor sellers and developing new formulas. Finally, some brands issue limited-edition ranges. So if you fall in love with one of those, best you stock up. There you have it. And now for a list of brands and products that we know have been discontinued in South Africa. If there’s anything else, let us know in the comments and we’ll verify and add. 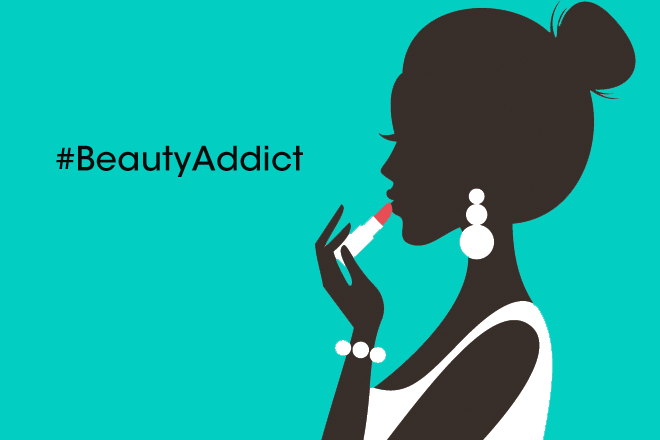 Sharing is caring, beauties – especially when you’re nursing a broken beauty brand heart. Everysun Anti Age Face Protect SPF 30 and SPF40 have been discontinued and replaced with Everysun Anti Age Face SPF50. Tropitone Waterbabies Range has been discontinued. It’s now part of Everysun brand. Garnier Hydra Match moisturisers have been discontinued and replaced with Garnier Moisture+ moisturisers. Johnson’s African Nurture range has been discontinued and replaced with the Vita-Rich Body Care Range. Nair Brazilian Spa Clay range has been discontinued and replaced with the Nair Argan Oil Range. Schwarzkopf Gliss Marrakesh and Liquid Silk have been discontinued and replaced with Hydra Miracle and Magnificent Strength. Yardley CC Cream foundations have been discontinued and replaced with Yardley Even Complexion Foundations. Maybelline South Africa. Go here to check in future. I personally feel a lot of brands are stepping away or just completely closing doors because of the issue of fake products. From the first I tried the ‘Garnier BB Cream in Dark’, I feel in love with the product. So much so that my high end Foundations, concealers and powders were abandoned. Finally I found a product that gave me the cover I needed without feeling plastered. An amazing product that is affordable and last so long. It breaks my heart that it’s been discontinued. THE SUNSILK HEAT TREATMENT WAS REALLY FANTASTIC.IT MADE YOUR HAIR SHINY AND SLEEK AND IT SMELLED GREAT TOO. I have been using Maybeline Lipstick 210. Love it. Apparently, it has been discontinued! Very sad. Please advise a colour similar that I can get.Thank you. Thank goodness for all the other products to try out there, one tends to get stuck on what you love using. Thank you for this article it answered many questions I have been asking on my search for the Garnier BB Cream – Original/Classic range. I do think it has been replaced with a new formula which I have tried and an not very happy with. The new formula has hints of pomegranate but has made skin very oily and even caused a rash. So I am truly sad to see my trusted BB friend leave, I guess the hunt for a new brand begins. Tommy Hilfiger True Star perfume; a to die for scent. Loved it whole-hardheartedly. I went as far as contacting Tommy Hilfiger USA and too bad that perfume was discontinued…I cannot seem to find anything next to the aquatic fresh and fruity sweet notes of melon, aldehydes, citrus, honeysuckle and sensual musk scent. I used to swear by the Yardley Oatmeal Foundation for Oily Skin, it just worked for me and was affordable. I guess it was not doing well on the market. I was gutted when Sleek left SA. Right now I am just wishing that LA Girl extends its range in SA. I have learned to make peace with not finding what I want on the shelves and look for it online. I don’t know what I would do without online shopping. As the ultimate perfume aficionado, I have a list as long as my arm of exquisite scents that have been discontinued. Perfumes can transport us back to certain periods of our lives and remind us of loved ones, living and passed. When a favorite scent is discontinued it’s truly heartbreaking. I was devastated when they discontinued one of Avon’s face scrubs. They one they replaced it with was not nearly so good. I don’t understand why they would discontinue a product that was in such high demand. what is happening with Maybelline and Yardley? It is distressing to find out your favorite Maybelline mascara is on its way out because now it is extra effort to try and find a similar product with the same effect. And nobody has time to aimlessly wander the aisles at Dis-Chem or any other cosmetic store to try out a new product which can only be tested once you actually bought it and use after opening for the first time. I have been down that path a good few times and it is a money wasting situation. But if you arm yourself with tons of patience and a nice smile, you may be able to cut the whole process short by asking the shop assistants to try and find testers before spending the money. Not always possible, but worth a try. Revlon Charlie Skin and Make-up range was my favorite. Very affordable. Such a disappointment to see the brand said goodbye to SA. My daughter used to use Olay uneven tone products. I was told it has been discontinued and cannot find it in any store locally. She was disappointed because this product worked best for her. It’s utterly heartbreaking when one of your ride or die products get discontinued and it always feels like the biggest mission to find a replacement, but I think it’s great that Maybelline has a list of discontinued products that also gives you possible replacements. I think more brands/companies should consider doing something similar. It’s a great thing that products get discontinued otherwise we would be stuck with products that don’t actually help. I wish that the beauty brands would launch new products more frequently in SA though. Was actually looking to try out the Revlon Charlie foundation at Clicks but the online store states that it is “out of stock”. Still keeping my fingers crossed that it will be restocked though. Seems like they are discontinuing the Charlie brand slowly these days. I loved Kaleidoscope L.D.T. – Look Don’t Touch by Lenthéric. They have introduced an entirely new range but none of them smell as good as my fav perfume. It had this absolutely sweet smell which I loved. When I couldn’t find it on any of the shelves over five years ago I actually called Lenthéric and was told that it had been discontinued. I now have a small bit of perfume which I uncap and sniff once in a while.